*You can bring in your Own Caterer, Decorate to Taste (our backroom has a number of Starfish, Sand dollars, shells & more that are Free to use), and Bring your Own Drinks (Liquor Liability Insurance Policy Required). Table Linens & Centerpieces are included. Even though the reservation begins in the afternoon, we allow couples to decorate in the morning or evening prior as a courtesy. Please note, this facility is for Gulf Beach Weddings customers and booked in conjunction with our Wedding Packages. A Lockbox code is given the day prior or morning of to allow for easy access to both sets of doors throughout the day of your event! *Our facility comes staged for seating of approximately 64 guests – additional chairs are provided however, will need to be set out by the couple the day of the event. *There is no dishwasher and all trash disposal is the responsibility of the couple renting the facility during the event. *Please note their is no Stove or cooking utensils for on-site food preparation. All food must be catered or prepared off-site. There is however, a microwave for re-heating individual items located in the kitchen portion of the facility. Affordable Banquets located at 6655 Gulf Blvd., St. Pete Beach, FL 33706 on St Pete Beach Florida is the perfect location for a small intimate reception. You may choose a caterer from our vendor list (Cakes & Caterers, DJ, Live Musician, Decorations, Florists and More) or choose your own. Family members or friends may bring prepared food, cakes, or hors d’oeuvres for your reception or private event. We are available for Wedding Receptions, Birthdays, Corporate Training, Holiday Parties, and Family Gatherings. *We will handle Restrooms in either case. *All Trash, Spills / Stains, Decor Setup & Takedown, Additional Tables (provided), Chairs (provided) and back-room decorations are provided as a courtesy however, setup of these items is the responsibility of the couple renting the facility. *On occasion, we allow for functions other than a wedding. Please note these events always require a +$250 and Full Cleanup Option if you have not reserved the Reception Hall in conjunction with one of our Wedding Packages. WE JUST REFINISHED THE FLOORS! Affordable Banquet is a family owned business located in the heart of St Pete Beach. 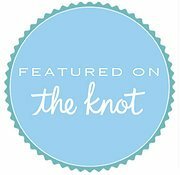 Founded in 2007 under Gulf Beach Weddings – we have performed, presided over, and conducted over 4,500 weddings in the Tampa Bay Area. Pass-a-Grille (Southern point of St Pete Beach) is our personal favorite location for beach weddings: Home to the Beautiful Sunset, Proximity to Hotels & Amenities, Crisp White Sand, Sea Oats & Boardwalks for great pictures make Affordable Banquet the ideal private yet affordable option for local and traveling brides. As the company evolved we heard from more and more brides that they would like to hire us to handle both the Wedding & Reception through the same person. Thus, Affordable Banquet was born with the purchase of a Free-Standing 2,200 SF Retail space that has now been converted to a Reception Hall for private events (2014). We have outfitted this property with all the top of the line materials at a price that is affordable to almost 95% of brides today. You are also able to hire all your own vendors or we can recommend vendors that we have worked with for years – you are in Great hands on your wedding day! The Calendar below only represents Reservations at our ‘Affordable Banquet’ Reception Hall, denoted as ‘RESERVED.’ Our Wedding Packages are serviced from Clearwater Beach to Siesta Key, FL and represent a much higher availability. Please Contact Us for other Reception Options and to confirm availability!